See all Lake Catherine Palm Beach Gardens DiVosta single-family and patio townhomes. Search the MLS for all Lake Catherine Palm Beach Gardens homes available. 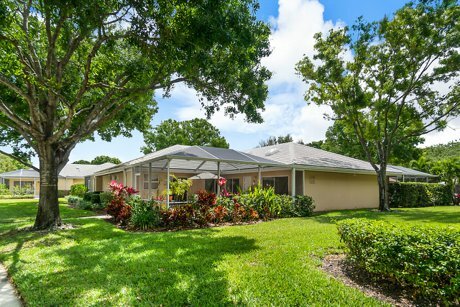 Get photos, videos, prices, details of all Lake Catherine Palm Beach Gardens homes community. 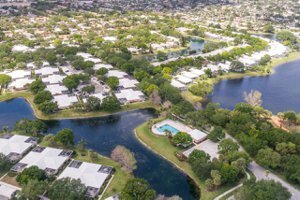 Lake Catherine homes for sale are located in Palm Beach Gardens, just off of I-95 and Northlake Blvd. Residents of this DiVosta community have spectacular views surrounded by tropical plants and waterway canals. Living in Lake Catherine means you will enjoy convenient community amenities, shopping and dining, and entertaining recreation all within minutes from your front door. Lake Catherine real estate is made up of single-family homes and townhomes. Ranging in size from 1,150 to 1,577 square feet, the homes in Lake Catherine community include 2-3 bedrooms and 2 bathrooms. These homes were built in the early 1990s with reliable concrete block construction by DiVosta. Some residents have waterfront views of the community’s namesake. Amenities in Lake Catherine homes include vaulted ceilings, expansive screened porches, and large windows. Open floor plans provide space to enjoy the natural surroundings of either the lake or trees. Homeowner association fees for Lake Catherine residents cover services like lawn care, maintenance, parking, trash service, pest control, roof maintenance and building insurance. Pets are permitted with some restrictions. 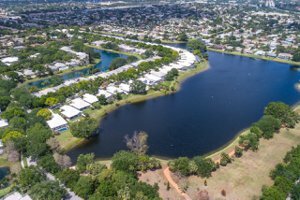 Residents of Lake Catherine homes have access to dozens of recreational opportunities. Built-in community amenities include a private clubhouse and swimming pool, both of which offer space to relax or hang out with friends. Jogging trails and tree-lined sidewalks make it easy to meet up with your neighbors for a stroll. The renowned beaches and the warm waters of the Atlantic Ocean are only a short drive away so you can easily spend a day soaking up the Florida sun. To get your fix of aquatic activities, try kayaking, paddleboarding, surfing, boating, or fishing. Several golf courses in the area let you practice your skills against a beautiful backdrop. That's not all, right outside of the development is the Lake Catherine SportsPlex featuring: 4 Lighted Youth Softball Fields, a Concession Stand, Restrooms, a Playground, 3 Youth Softball Batting Cages, and a Running Trail. Many different local softball teams and leagues play at Lake Catherine Sports Complex. You can find t-ball up through high school age children playing, training and learning softball here. Teams usually form in the Spring and in the Fall which is beautiful weather for South Florida. There is a playground conveniently located at the complex. This is great for little ones to play and burn off energy while their older siblings are practicing at the batting cages or playing a game on one of the four fields. The running trail can also be included in team endurance practices or the parents can jog with a stroller or run while their children are at their practices. The large, lighted softball fields create a safe and inviting area for teams to play when it begins to get dark out. The concessions stand is usually open and available during ball games to grab a quick snack, drink or candy bar while watching the game. If you are looking for a new sport for your kids to participate in that is in a nice, clean and safe area, you may want to try out softball and join a team that plays at the Lake Catherine Sportsplex. 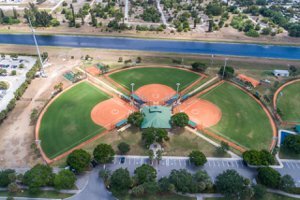 This entire complex is set up specifically for softball teams and the grounds and location are perfect for families with children of all ages. The Complex is located adjacent to Watkins Middle School. 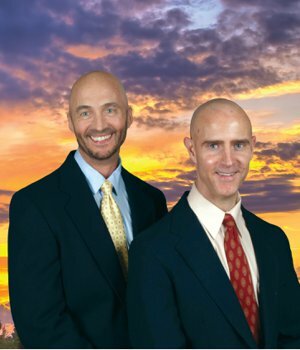 GET MORE PALM BEACH GARDENS INFORMATION HERE. Lake Catherine homes for sale are close to excellent shopping and dining. National retailers, including Target, Lowe’s, Ross Dress for Less, Costco, and The Home Depot, are all only minutes away to find everything you need. For premium brands and department stores all in one place, visit The Gardens Mall. It boasts more than 150 shops, including Saks Fifth Avenue, Macy’s, Nordstrom, Bloomindale’s, and Sears. Hungry shoppers will appreciate the array of snacks and sit-down meals, ranging from California Pizza Kitchen to Brio Tuscan Grille to P.F. Chang’s. Another great shopping opportunity is Downtown at the Gardens, which features specialty boutiques and cafes in addition to well-known names like Whole Foods Market. Dining in Palm Beach Gardens has restaurants that serve cuisines from around the world, so you’re sure to find a new favorite. Traveling in and out of Lake Catherine is easy thanks to the community’s proximity to I-95. Living in Lake Catherine means you will always be close to something fun. Palm Beach International Airport is a short drive away for business or pleasure flights. Residents of Lake Catherine are served by the School District of Palm Beach County, which boasts continually top-rated programs, including Jupiter Community High School. For alternative education, there are also private schools in the area.